face2face Second edition is the flexible, easy-to-teach, 6-level course (A1 to C1) for busy teachers who want to get their adult and young adult learners to communicate with confidence. 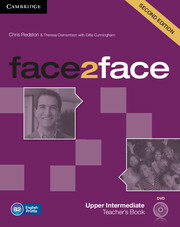 The face2face Second edition Upper Intermediate Teacher's Book with DVD offers detailed teaching notes for every lesson, keys to exercises, and extra teaching notes. 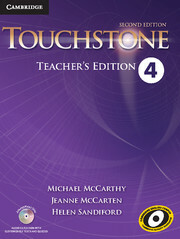 It also guides teachers through the Student's Book DVD-ROM and relates face2face to CEFR levels and English Profile. Additionally, busy teachers will benefit from progress tests, photocopiable communicative activities and extra reading worksheets. The free DVD offers classroom videos integrated with the Real World sections in the Student's Book as well as the entire content of the Teacher's Book.